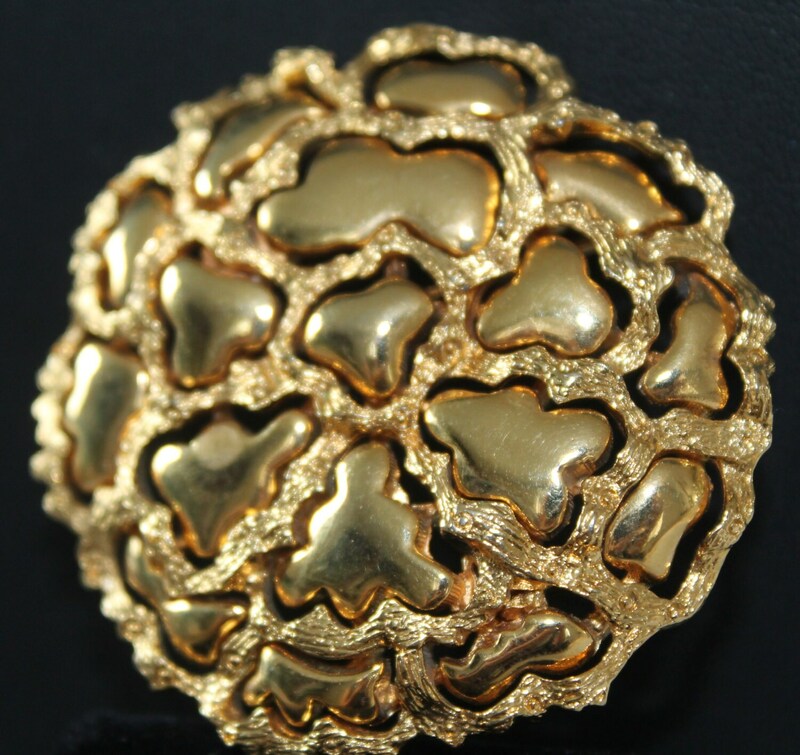 Amazing jewelry I've found during my recent trip to Normandy and Belgium. All of the pieces are coming from the local estate sales and auction houses. 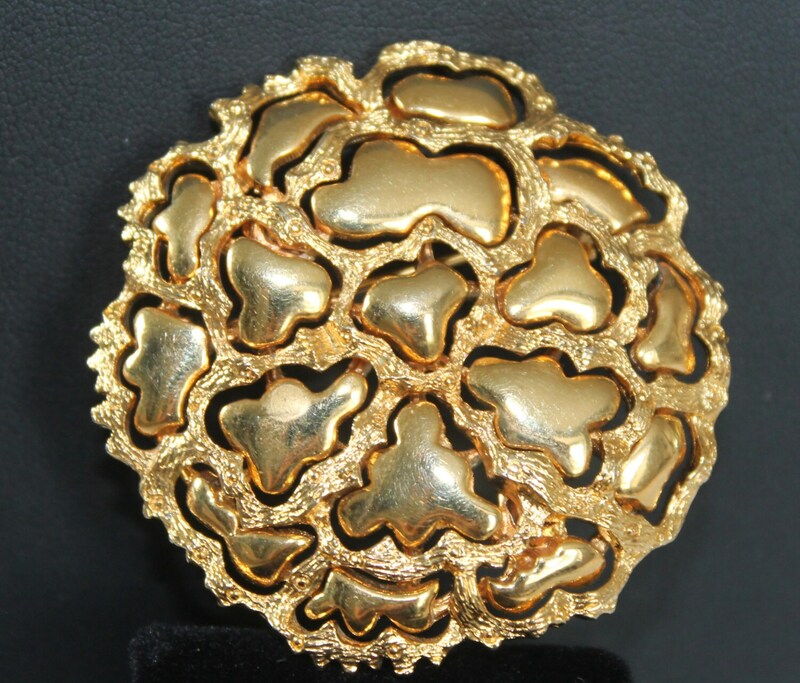 A striking vintage 1950's gold flower brooch pin by the rare designer Roget. 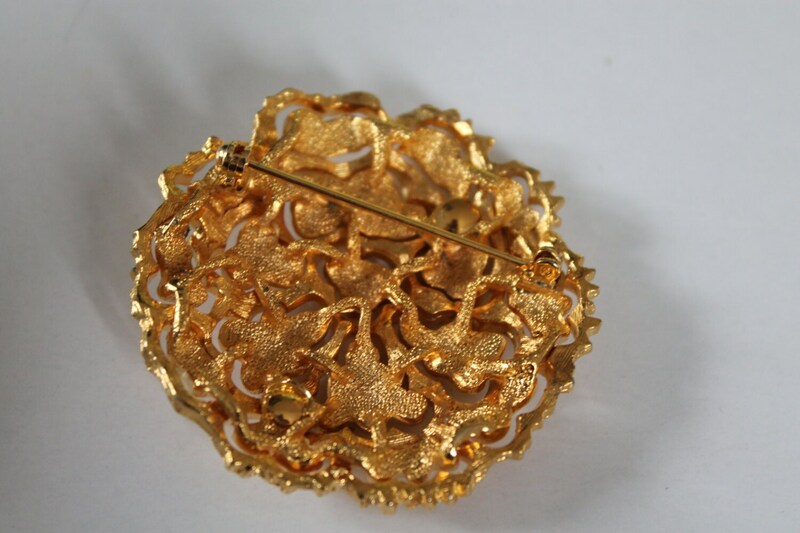 This large gold brooch is a unique abstract flower design. 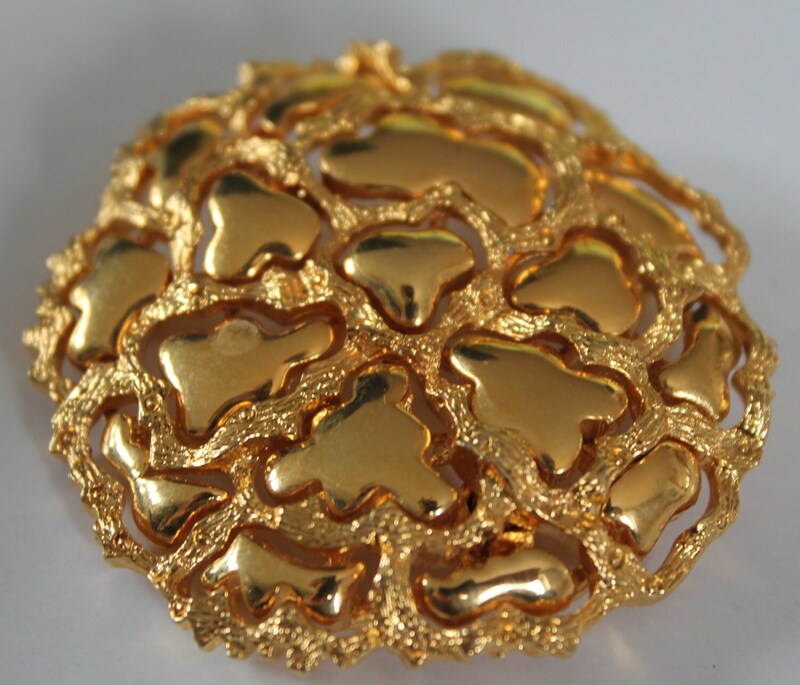 There flower is created with golden textured branches surrounding smooth amorphous shapes. Very cool modernist Brutalist jewelry.